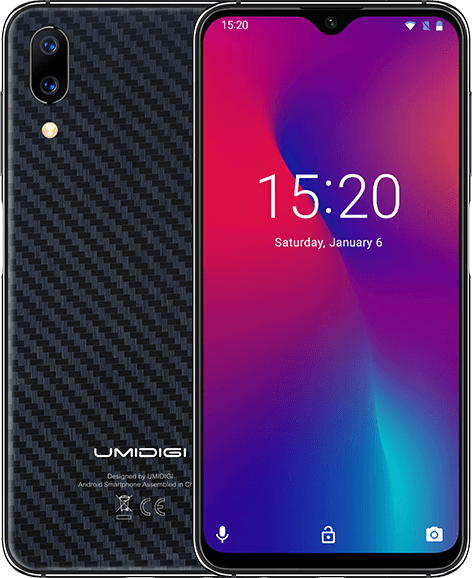 Let’s take a look at the smartphone here from the Chinese company – Umidigi. 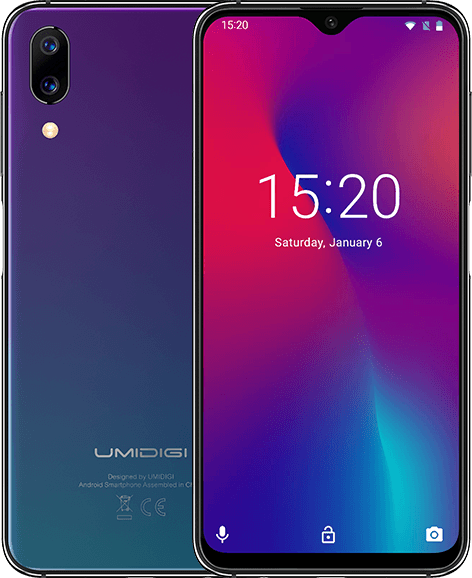 Responsible for a bunch of smartphones like Umidigi A3 Max, Umidigi Z1 Pro and now the Umidigi One Max. The smartphone bring discussed is a budget midrange smartphone which does not have that quite robust spec sheet as you have in some. However, the smartphone is aesthetics driven as it has a glass sandwiched metallic build and comes with the fancy dew drop notch. The smartphone goes for a more fancy look with shimmering shiny design in the trendy slim build. In terms of thickness, the smartphone is no different from regular smartphones but it does have a 2.5D glass on both sides if it counts for anything. It is a bit weighty to coming in at 205g which can be credited to the big battery inside. You can get the smartphone with the twilight colour or carbon finish. Favouring the style in vogue, the smartphone has a dew drop notch display and with a big size like the Oppo F9 and Vivo Y95. This smartphone here is 6.3-inch in display size and with a resolution of 1520 x 720 pixels. There is quite a lot of bezel reduction on the smartphone save for the bottom part though. If there is one thing the Umidigi One Max comes with enough of, that will be battery capacity which is good one. The battery on the smartphone has a 4, 150mAh capacity, more than what you have in several smartphones and an assured till the end of the day use. For refill, you will find a USB Type-C port at the bottom with fast charge for improved charge time. Optics sees a combination of a dual sensor at the back and a single sensor at the front as it usually is the case with these smartphones. The two at the back is a 12MP primary camera and a 5MP depth focus camera. You have portrait mode, AI features, Live editing and 1080P video recording amongst other juicy features. Over to the front, the smartphone has a 16MP camera on call for selfies.